Congrats to Dan Jacques and family on their multiple cabin purchase! 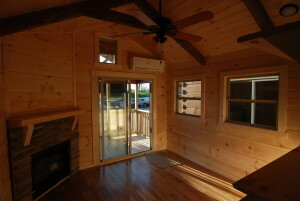 It was a pleasure working with you guys and we hope you have many happy memories in your little cabins. Dan wanted something to put on his family land for guest to have a nice place to sleep when entertaining. He had a building on his property with a kitchen, but no where to sleep and stay overnight. While passing through on a business trip he stopped in. We knew just what he was looking for and pulled together some plans of what he was describing. What we came up with was the perfect weekend retreat! 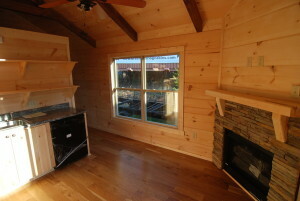 A small kithenette with just enough space for a coffee maker and mini-fridge, a built in King bed base with drawers, a large 60″ one piece shower with seats and to top it off a beautiful stacked stone rock LP fireplace. We’d love to build this plan again. Please contact me for plans and pricing! Thank you from all of us at Green River Log Cabins! alot of windows for plenty of light! Cool…LED low profile recessed lighting! 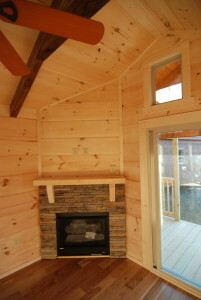 Stacked rock fireplace with gas vented fireplace. more big Anderson windows. 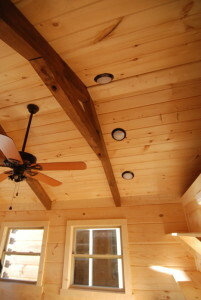 Which comes standard in all of our cabins! 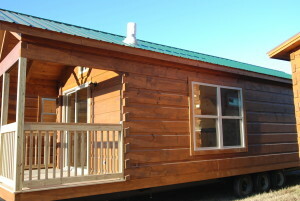 https://greenriverlogcabins.com/wp-content/uploads/DSC_0508-1.jpg 803 1200 GreenRiverLogCabins https://greenriverlogcabins.com/wp-content/uploads/logo.png GreenRiverLogCabins2015-12-29 23:00:202017-08-01 16:39:19GRAND RAPIDS HERE WE COME!